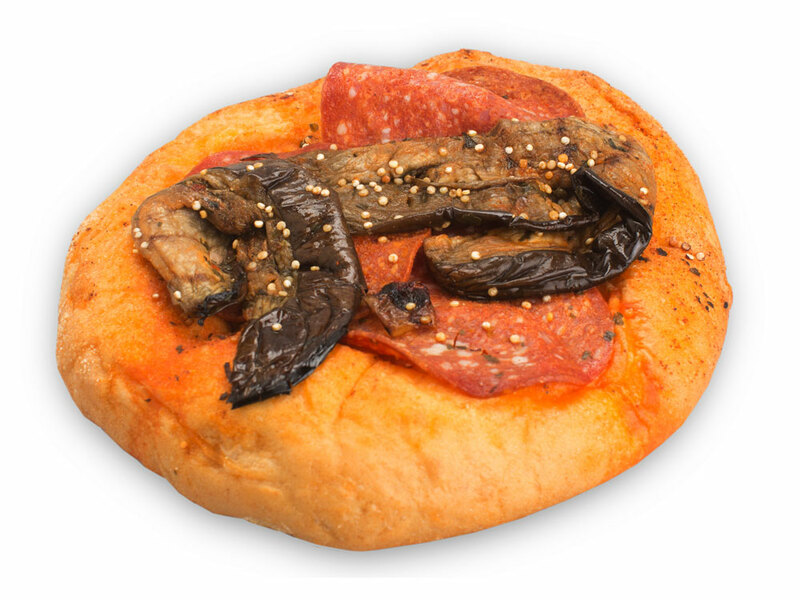 The Torta di Festa is a treat and a Mediterranean party on your table. 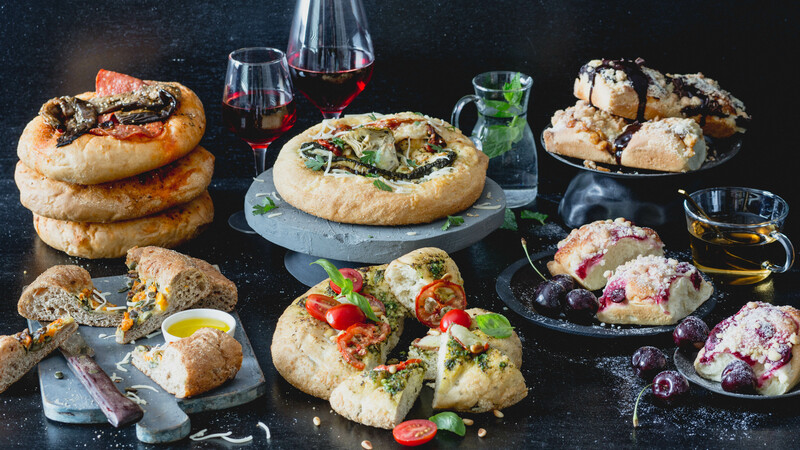 Richly filled culinary bread pies you can prepare easily and fast and share with family and friends. 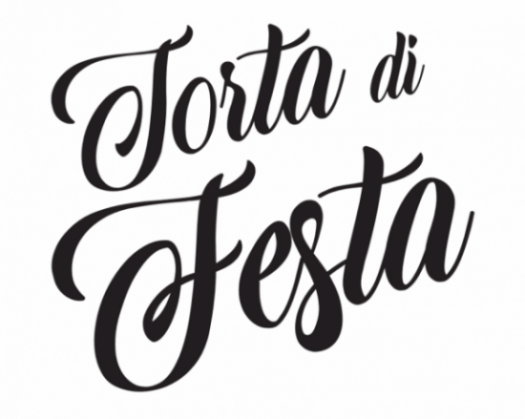 Torta die Festa has 4 savoury pies and 3 sweet cakes. 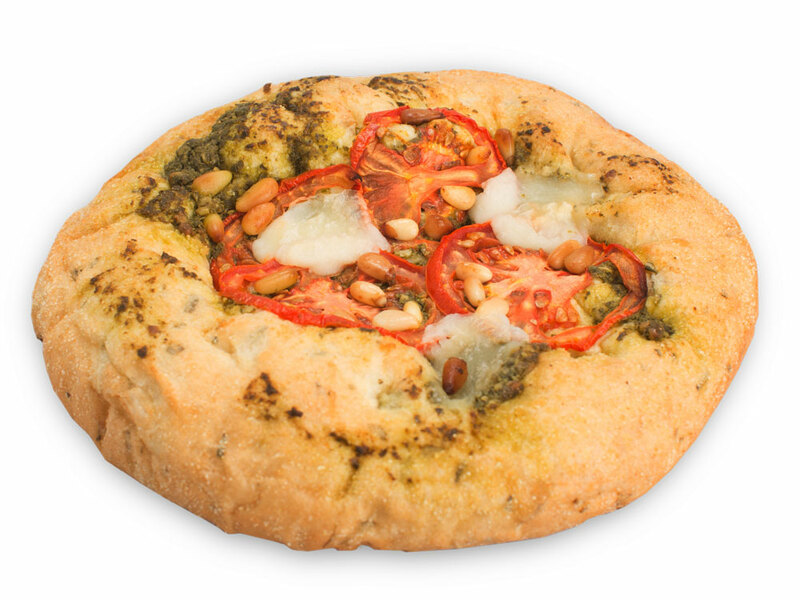 A classic with the tasteful combination of buffalo mozzarella, tomato, basil and pine nuts. 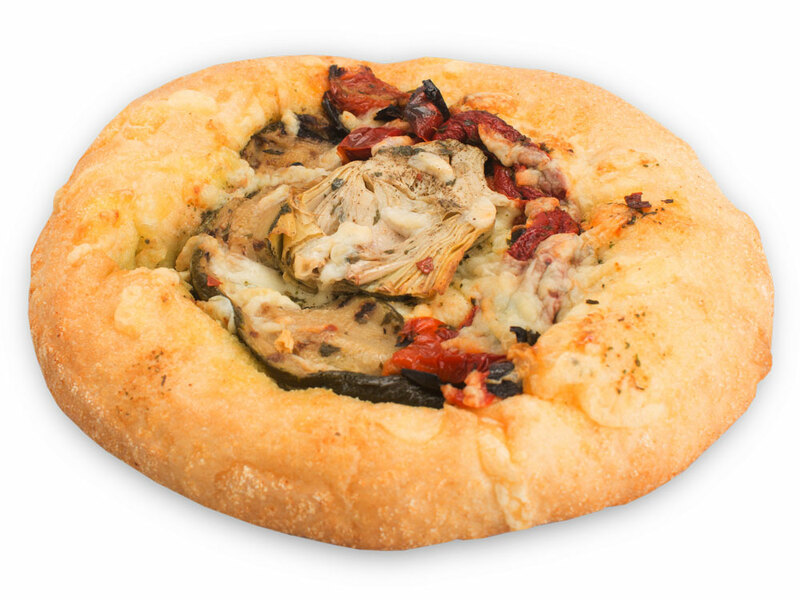 This pie is plantbased and extremely tasty thanks to the topping with grilled zucchini, artichoke and yellow pepper. Fresh paprika powder has been added to the dough and this ensures the beautiful red colour. As topping: delicious chorizo, grilled aubergine, red pepper and quinoa as finishing touch. This 100% wholegrain bread pie is healthy & delicious. 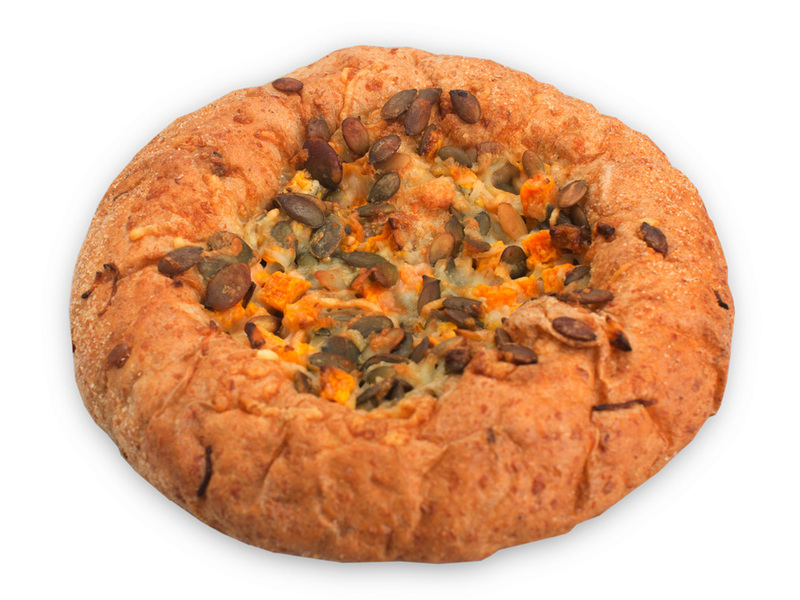 Carrot julienne has been added to the dough and pumpkin, matured cheese and sunflower seeds as topping. A sweet temptation you definitely can’t resist. 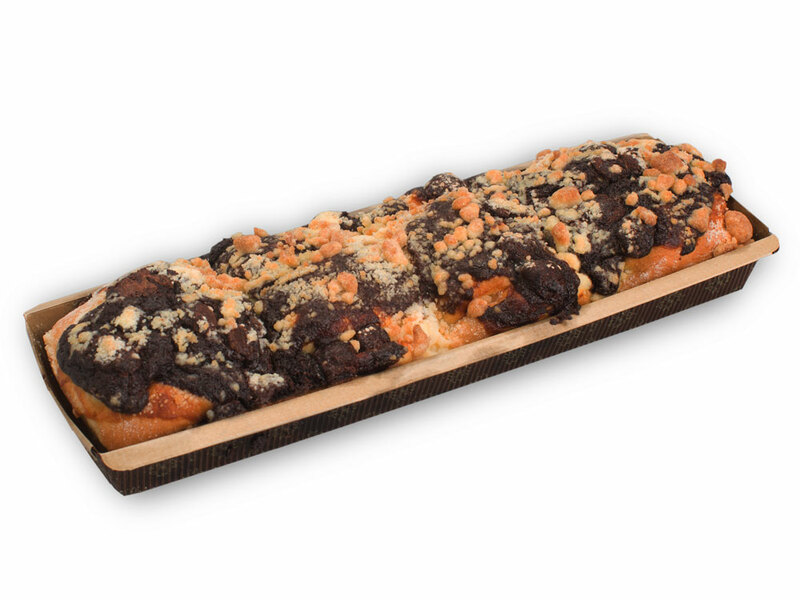 A delicious bread pie with brownie topping and large pieces of chocolate. A well-known taste combination, even more delicious now!. 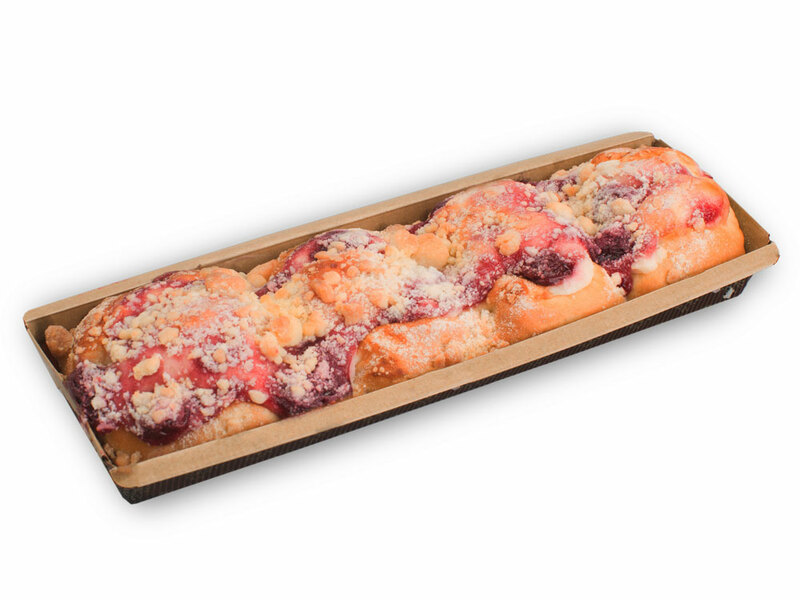 The apple crumble bread pie is filled with apple, raisins, cinnamon and topped with lovely butter crumble. This bread pie is topped with creamy cheesecake and cherries and butter crumble on top of it.